One of the most common complaints I see about Facebook on a regular basis is that people want to see everything in their feed. When you choose to accept or initiate a friend request, it is because you want to connect on a regular basis with that individual. When you choose to like a page, it is because you want to see that page’s content. So, it’s frustrating for many Facebook users that Facebook has developed the EdgeRank algorithm that essentially decides what is delivered to our newsfeed by interpreting our actions. I’ve given an overview of EdgeRank in the past, but time has created more and complex changes to the algorithm. Each time Facebook tweaks or announces a major change, the chorus of complaints about Facebook’s attempts to read our minds based on actions (likes, comments, clicks, shares, etc.) gets a little louder. As users, we want to see what we want to see. As page admins, we want our audience to see everything without having to pay for it. I get it. I understand it. But I also see other sides to this problem. Has Facebook engineered its algorithm to encourage page admins to promote posts, thereby creating a market for its advertising services that might not otherwise exist? They sure did. Just like Google designed the AdWords program to boost reach for companies on certain search terms. If you’re okay with the “free” search rank you get, you don’t invest. If not, you have the choice to boost yourself or target search words/phrases you want your business to show at the top. But is that all someone with a website can do? No, they can also employ someone to take steps to optimize their website - something that also costs money, but is considered by many to be worth the cost because of the impact it has. Facebook cannot pick and choose who has to pay for better reach. It’s frustrating to me on my page where my personal blog content is posted that I don’t get better reach, but I’m not going to pay for more people to see my hobby. As a personal blogger, my audience is never going to be huge and I don’t post regularly enough to maintain a large reach. I’m okay with that because I know that if Facebook tried to distinguish between Karen the blogger and Karen’s business, my business would have to pay more and I’m not okay with that. We won’t get into how businesses would inevitably try to game such a system. Facebook is a public company with an obligation to its shareholders to report profits and growth in its bottom line. The best way to do that is through ad revenue from a system that utilizes the piles and piles of data that Facebook has to target its users more specifically and accurately. (This could lead to a privacy discussion, but that’s another post for another day.) As individuals, we wouldn’t get to use Facebook without some way to monetize the platform. As business owners, we wouldn’t have one of the least expensive ad units available to us, along with powerful data to target the right people. The truth is, we had a free ride for years and got used to it. 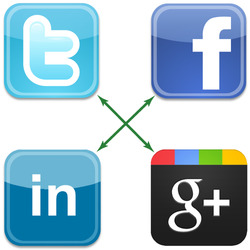 We shouldn’t assume that similar changes won’t be implemented as each of the other networks (Twitter, Pinterest, Google+, etc.) looks to improve the bottom line as they scale for growth. Are you really, really sure you want to see everything? If you do, I have the answer for you. Go to this page and click on create list. Then you can go through the process of creating a custom list with all of your friends and all of your pages that you’ve liked in the list! And guess what? That new list isn’t affected by the algorithm. You will see everything in chronological order. All of it. Every status update, picture, video, friend connection, page like, and on and on and on. The truth is, on January 6th, I got really frustrated with Facebook’s algorithm because I was watching the Florida State Seminoles play the Auburn Tigers in the last ever BCS National Championship title game. This year marked 15 years since the last time my ‘Noles took home the trophy. The game was intense and a nail biter to the last 13 seconds. (Yes, that’s how close we were to losing!) I was refreshing Facebook for three hours looking for any updates about the game. Then I decided to check the smart list that shows me updates from my former high school classmates. And my smart list stream was suddenly flooded with dozens and dozens of updates about the game. That was the first time I fully appreciated the frustration I’ve always heard from others. And yet, I don’t think I would choose to use a Facebook that doesn’t have an algorithm on a regular basis. Would I miss things I’d like to see making this choice? Sure, but I’m not going to know the difference since I won’t see them. And I have that handy list that I can use when I feel like checking out what is happening with “everyone”. All those game updates you’ve hidden from your newsfeed because you don’t care? They show in my “Everything” list. Remember when every page your friends liked showed up in your newsfeed a few years ago? Ya, you can totally get that back again. Same with “so-and-so is now friends with what’s his name” updates. I set up my “Everything” list about 3 or 4 weeks ago. After using it for a couple of days, I went back to the Newsfeed because it shows me enough of what I want to see day-to-day. I’ll pop in to the list on occasion, but it’s not where I live when I’m spending a little time on Facebook. It’s overwhelming. I’m certainly not the average Facebook user, so with over 500 friends and roughly 700 pages I’ve liked (I just unliked about 900 not too long ago, for the record), that is a LOT of information. (Average users have around 200ish friends and likes about 40 pages.) I cannot possibly truly follow all the people and businesses I am connected to through Facebook. The friends and pages I interact with regularly show up in my feed. When I want to check on someone I haven’t talked to in a while, I’ll go to their timeline and leave a note or like/comment on a recent post. We filter what we see everywhere. I follow almost 3000 people on Twitter, but I skim through my timeline, skipping over content I’m not interested in. I have lists that segment people I’m following by topic so I can look for their posts more easily. Do I truly follow 3000 people? No. No one does if they’re honest with themselves. What are your thoughts about the Facebook algorithm? Do you like it, hate it, feel indifferent to it? The latest Facebook update that is being shared tells you that only 10% of the people who like your page see what you’re saying and that you can solve the problem by adding pages to your interest lists. 1) It’s true - most of your fans don’t see what you’re saying. The only way to see everything that a page posts is to go to their page and read it there. 2) The more people engage with a page the more likely they are to see what you’re saying in the future. The more compelling the content, and the more often you ask for response, the more likely you are to get engagement. 3) Although Facebook interest lists do show up in your main newsfeed, nothing about adding a page to one will guarantee that you see everything they say. They are meant to be a way to focus on a specific topic or grouping, but still scroll through quickly and you would have to purposely visit the list regularly if you didn’t want to miss anything. We know it’s frustrating to think that people don’t see everything that you say on Facebook just because they liked your page. Think of it like an ad on tv or the radio, if you don’t happen to be on when that information comes through, you could very well miss it. The best solution is to post frequently (at least daily, preferably more like 3-4 times spread out throughout the day), to make sure you are posting information that is of interest to your audience, and to create opportunities for engagement. Let’s give each other ideas on what works best. Leave a comment below telling us what kind of posts get the most engagement on your page? How do you cross-post content on different social platforms? I shared my views about automated or scheduled posts a few weeks ago. 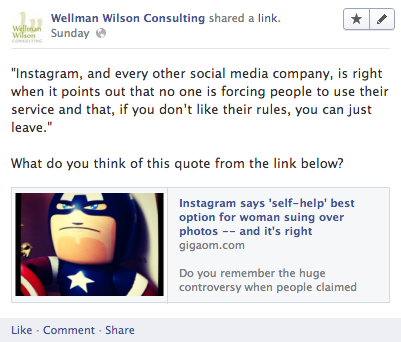 A couple of days ago, I saw this post on Lara Wellman’s Facebook page that sparked a pretty in-depth conversation about linking posts or cross-posting to different platforms. This is a different type of automation that can turn off an audience fairly quickly. Lara shared the tip that one shouldn’t link your Twitter feed to Facebook or LinkedIn, both of which are very easy to set up. Some people do so selectively and that’s okay because they’re consciously thinking about which tweets they want to share with their Facebook audience rather than indiscriminately posting them all. There is only one word for linking a twitter account to other platforms: annoying. If I follow someone on twitter, having them post those updates to LinkedIn and Facebook as well is a big turn off. I will generally hide (or unfollow) people who do this on Facebook. That means I miss any original content they happen to post. In the process of discussing the practice of linking social networks, another controversial practice was brought up - posting identical content across several platforms. This is primarily an issue that is isolated to Facebook, LinkedIn and Google+ since they allow long-form status updates. It can include Twitter, but I’ll come back to that. Facebook: Automatically updated when RSS Graffiti pulls my feed. (Side note: I’m considering discontinuing this particular automation due to the impact it has on engagement and Edge Rank. Even Facebook doesn’t like you to automate!) I try to remember to manually share the same post the next day when I don’t have a regular post scheduled. 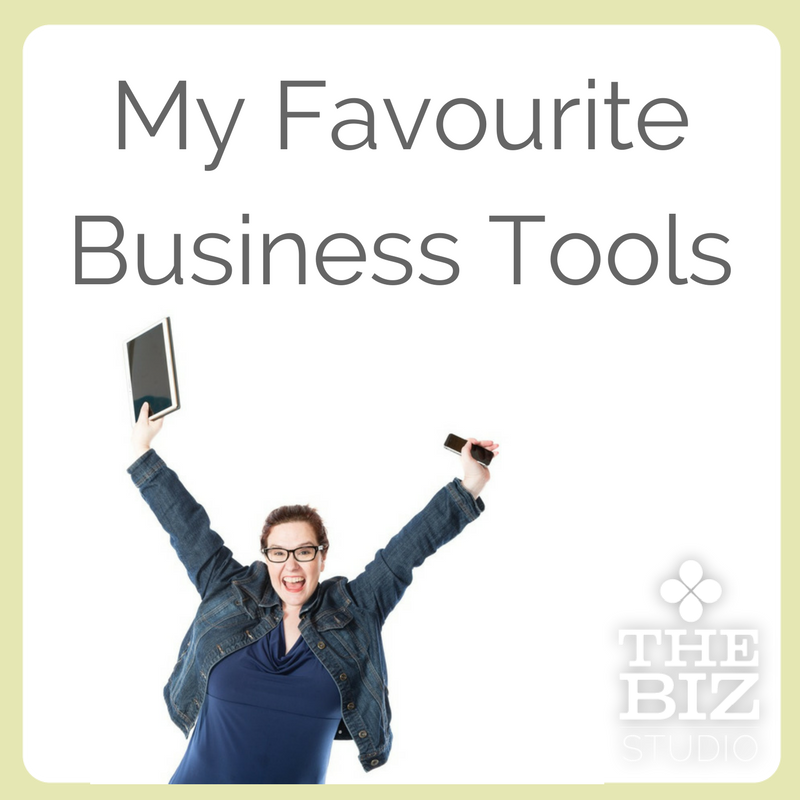 It’s my view that these three tools are unique in features, audience, reach and engagement. I’m just getting started using LinkedIn to promote my content, but for now I’m going with a business angle because that seems to make the most sense. I also don’t see a lot of engagement on LinkedIn, so a call to action may not be appropriate. With Google+ I do get a lot of feedback from the audience, so I tend to ask their opinion and give them the option of adding to my thoughts. With Facebook I might do something similar, but I might ask users what their top DOs and DON’Ts are for starting a blog. These are subtle differences that will create a different conversation on each platform - ideally - and engage users/followers in a way that works best on the platform. That’s a strategic decision that I’ve made for my content. But does it work to post the identical message and call to action on all three? Sometimes, but it’s not always a good idea. It’s important to know your audience with each platform. If you have a lot of overlap, tailor your messaging or change the time you post so that you don’t look as if you’re blatantly copying and pasting. It’s really worth it to take a few extra seconds to actively engage in a more personalized, audience-specific way. Using Facebook as your page (giving you the ability to like and comment on other pages as your business instead of with your personal account) gives you the opportunity to build your brand and knowledge base in conversations with your specific audience. 1) You can leave comments on appropriate topics as your page. When you browse Facebook as a page you can leave comments on other people’s pages as your business. A recent example of when I did this was when a business coach asked a social media question on his page - it made more sense for me to reply as my page (should any of his followers be interested in also learning about social media) than it would have as me personally. 2) You can tag pages in your updates. 3) When you like a page the page administrator is notified. When you like a page as your business that business receives a notification that you now like that page. Although they may not take the time to go and visit your page, that is a first interaction with them. You can then build the connection you are trying to establish with the people who run that page by engaging with their content as your page. Important Note: Pages that like your page don’t count towards your like count. You also can’t easily find out which pages like your page after the initial notification that they have liked your page. UPDATE Hat tip to Pape Service Technology who reminded me how to find it. (From your admin panel select see all next to “new likes” and then choose the drop down on the top left to select pages). 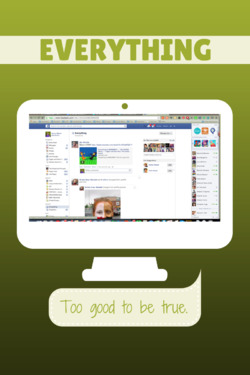 Do you interact on Facebook as your page?